Swipe for a chance to win! 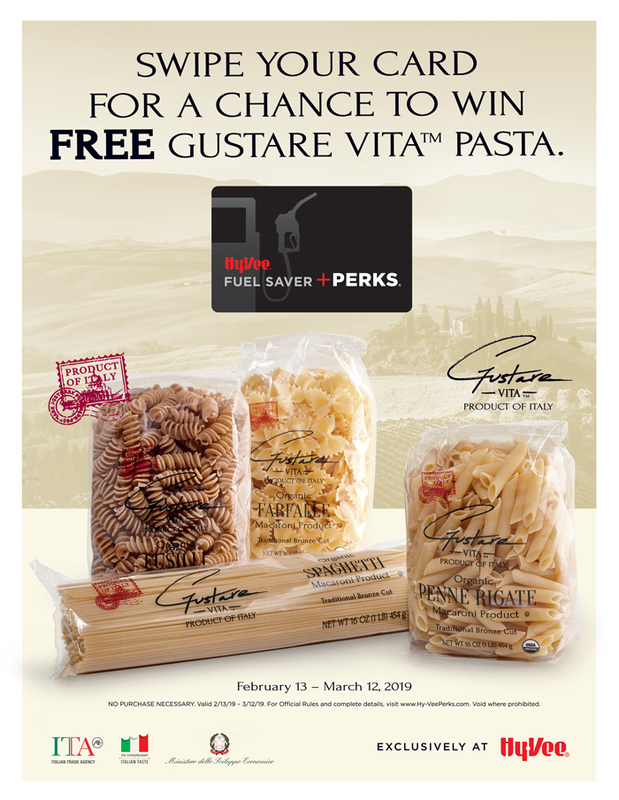 You could win FREE Gustare Vita pasta! Swipe your Fuel Saver + Perks card at checkout for your chance to win. For official rules, please visit https://www.hy-vee.com/perks/content/rules.aspx.